Jared Andrew Schorr is an illustrator based out of Southern California that creates remarkable playful illustrations that have a very retro appeal to them. 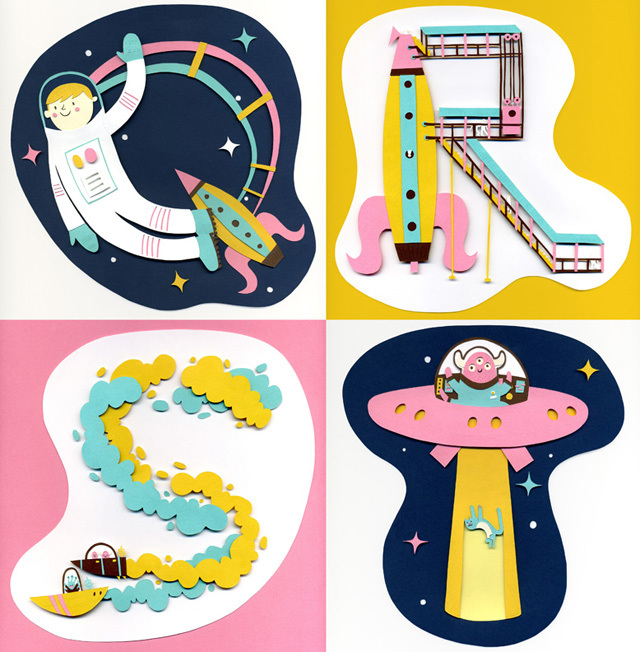 He has created the Spacephabet typography series showcasing the letters Q, R, S & T that was for a past gallery showing for Illustrated Type. Be sure to swing by his site to see more of his work, what's lovely is that the entire site is all handcrafted as well! Kiel Johnson is a locally based Los Angeles artist who not only creates mind-blowing illustrations, but also makes incredible realistic pieces with only the use of cardboard, hot glue and tape. He recently was the artist in residence at Cypress Hill College for an intensive three day workshop with students to help him create and film his upcoming video project with Roger.TV. 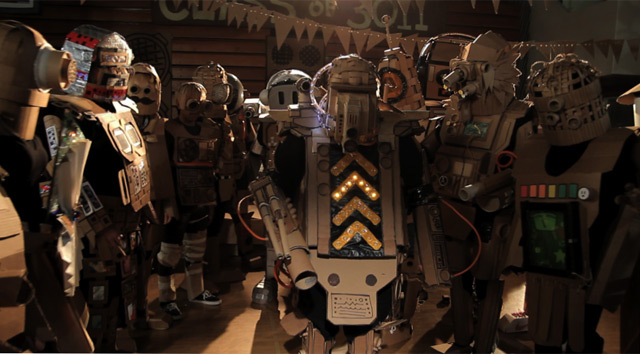 During his stay the students were able to learn what it's like to be hands on in the studio as well as see Kiel's process from conceptualization to realization and produce some seriously cool robot outfits for the shoot. This past weekend I had the pleasure of seeing the exhibition Bye Bye Kitty!!! Between Heaven and Hell in Japanese Art at Japan Society in New York, which will be running until June 12. I highly recommend seeing it if you happen to be in the area, it was incredible! They are also donating 50% of all proceeds from ticket sales to relief efforts in Japan. 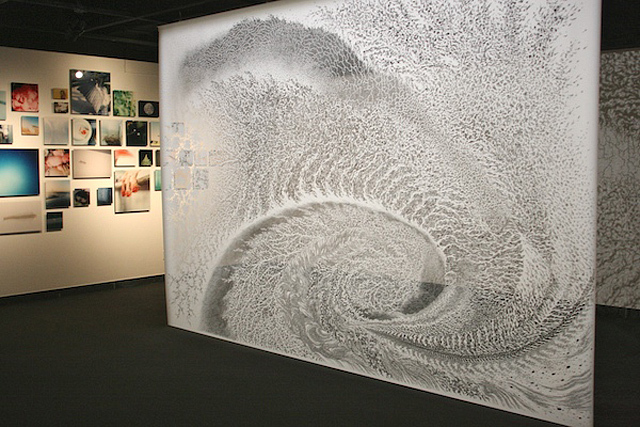 While I was there I also was able see the incredible new work by japanese paper cut artist Tomoko Shioyasu entitled "Vortex" shown above and directly below in detail. "Chirality is a scientific term describing a structure that is not identical to its mirror image. Chiral collects cinematic etudes, which develop various conceptual approaches in order to expand the two-dimensional image into space. 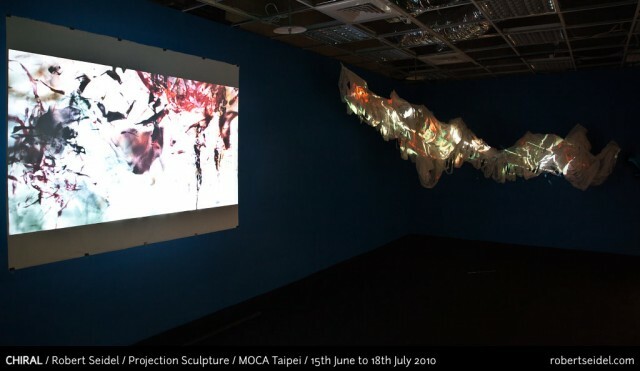 They are projected onto a sculpture (510 x 260 x 370 cm) and a screen (250 x 200 cm) made from handmade Taiwanese paper and develop very different lives on these configurations of the same material." Mayuko Fujino just recently completed a solo show at the Megumi Ogita Gallery entitled 'Arikui Abduction' on August 7th. 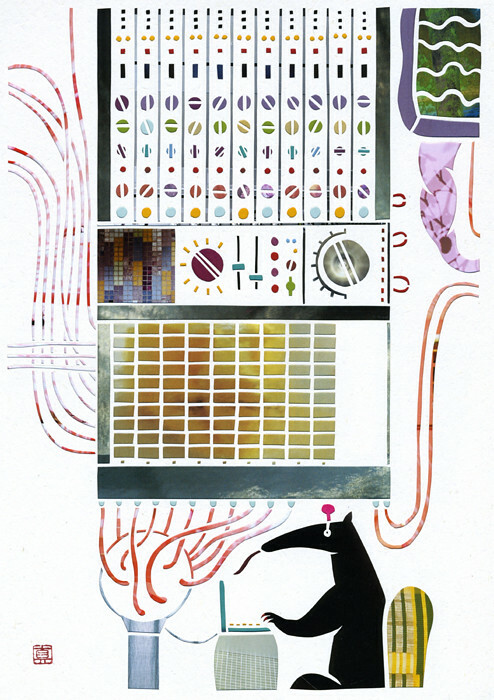 Her use of this style of cut out collages keeps in mind the harmony of the piece and shows her distinct eye for color.